I always add a Halloween pumpkin by my front door, but I don’t want it to be scary! 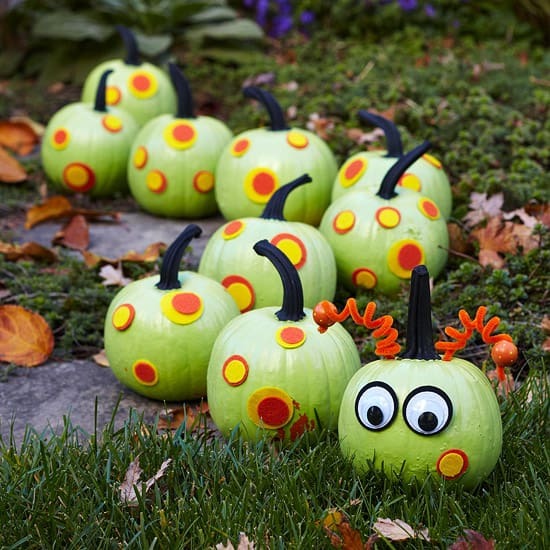 If you don’t do scary at your home, you’ll love this list of 10 non-scary pumpkin ideas. It’s hard to believe that Halloween is right around the corner! I always get such a kick out of seeing all the sweet and innocent faces of the little ones that come to my door. It’s because of those sweet and innocent faces that I don’t get into the scary side of Halloween too much. Shoot, I’m such a weinie that some of the decorations that I see even creep me out. You can always count on me to look away if I spot a ginormous fake spider in someone’s yard or on their house – I don’t even want to look at them! But that doesn’t mean that I don’t want to have a Halloween pumpkin. No way! I just don’t want it to be scary looking. Whether carved or not, I still enjoy having the traditional pumpkin to greet the trick-or-treaters who come to my door. While searching for inspiration this year, I came up with ten great ideas. Wouldn’t these be pretty leading a trail to your front door? You can get the etching template to create this beauty from Southern Living. These would be pretty inside too! These are so adorable! I can see a whole family of mama kitty with her babies. Here’s one that the kiddos could help with. So stinkin’ cute and looks so easy to do! 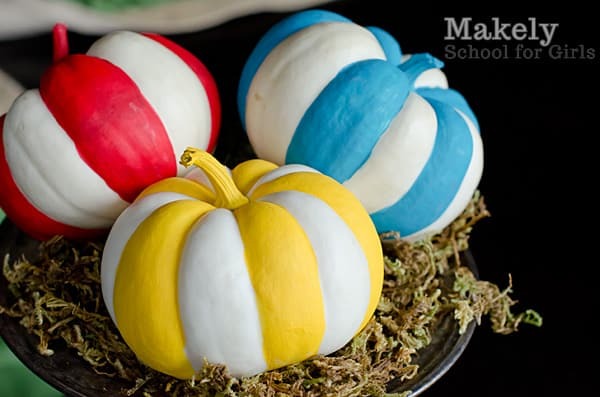 Why not decorate your pumpkins to match the treats? 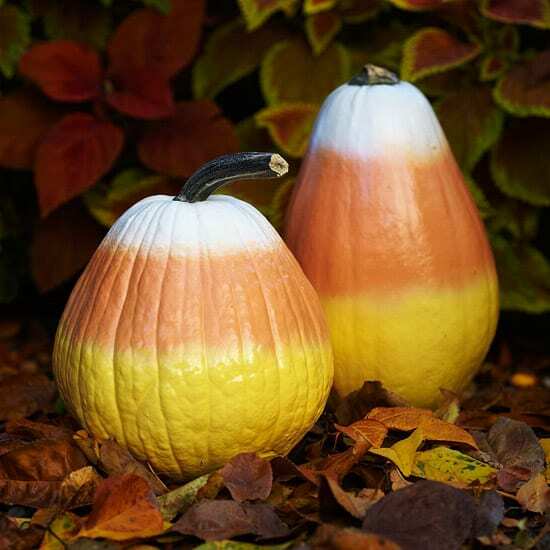 Do these make you think of candy corn? How about Hop On Pop? Perfect name for these guys. Show some good old fashioned school pride. 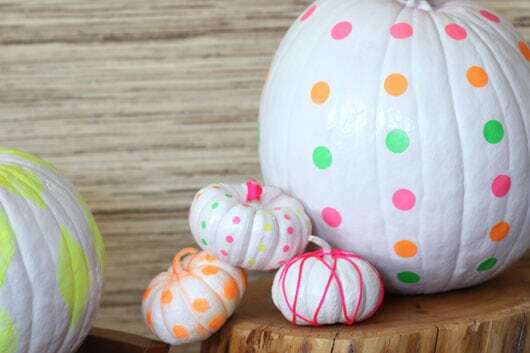 Grab some white paint, circle stickers, yarn and voila! So how about you? 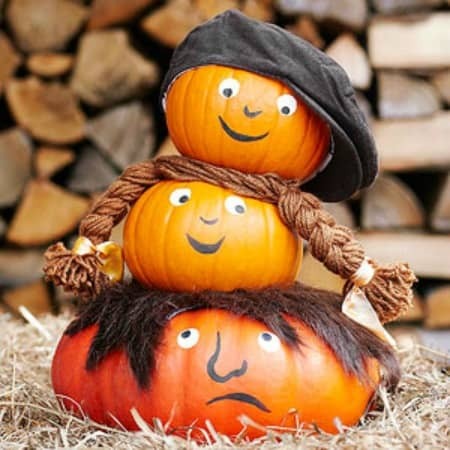 How do you like to decorate your Halloween pumpkin? 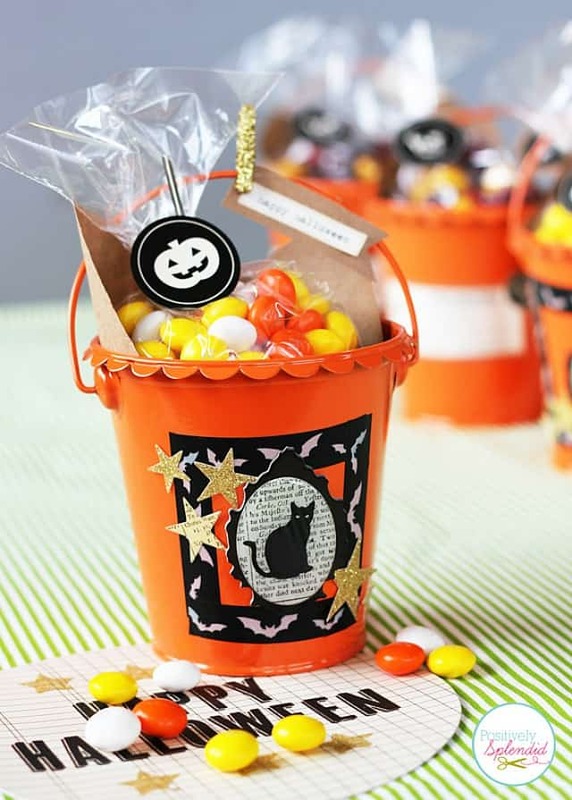 Are you into the scary side of Halloween or do you like to keep things on the light side? LOOKING FOR MORE NON-SCARY HALLOWEEN IDEAS? Thank you for the smiles. I don’t like scary either. Great inspirations here Suzy, thanks for sharing! Love these ideas. I don’t like scary either, especially for little ones. Discovered your blog through Southern Hospitality and enjoyed your home tour. And I loved the link to the tips on decorating a Christmas tree! Thanks for sharing. Lots of so different cuties! thanks for rounding them up! So many fabulous ideas, and so creative. Thanks tons for linking to Inspire Me. I was thinking that when I was a child, all we did was carve a face on a pumpkin! Now look at all the ideas. I like the candy corn ones and will definitely pin this post. Thanks. What great ideas! 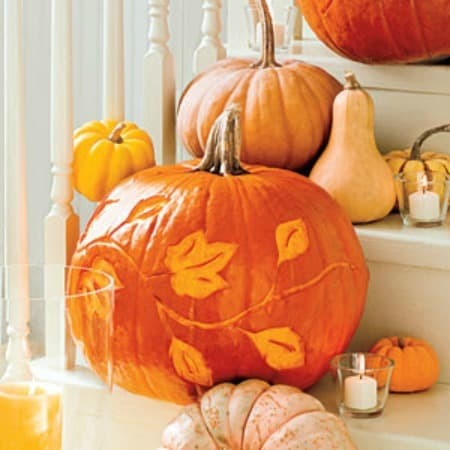 Especially like the pumpkins with the designs carved in them (we don’t do scary, either). I am so late this year that I wanted to at least be able to incorporate (turn the pumpkin around and add something Thanksgiving-ish) what I put out for Halloween that would go forward and keep the trekking up to the attic to a minimum…I love the Halloween house from another post and Hobby Lobby had reduced the group of 3 to $7! Happy Halloween to me. Thanks for your grand inspiration and thank you thank you for helping to make a big impact with my budget (time and money) in mind. 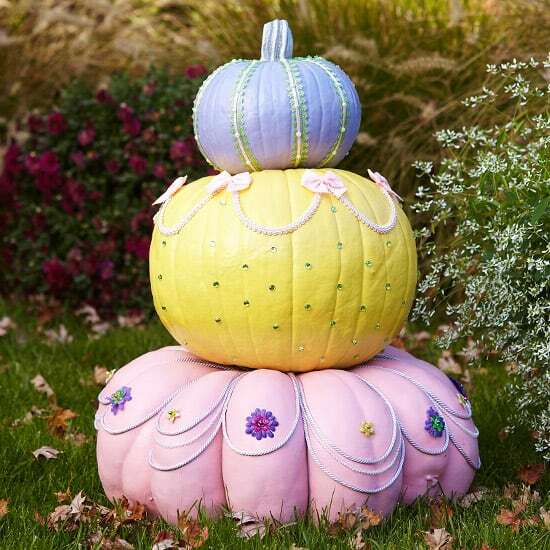 Love the fun painted pumpkins. Lots of great ideas. I loved them all. 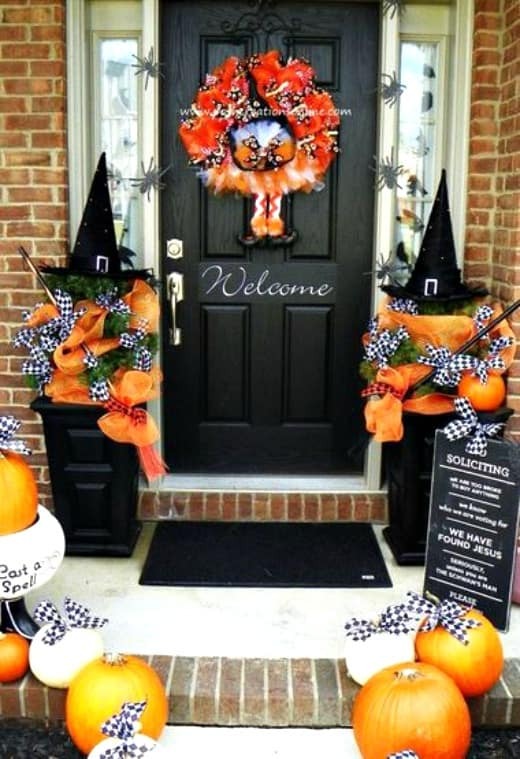 What great ideas for non-scary Halloween decor! 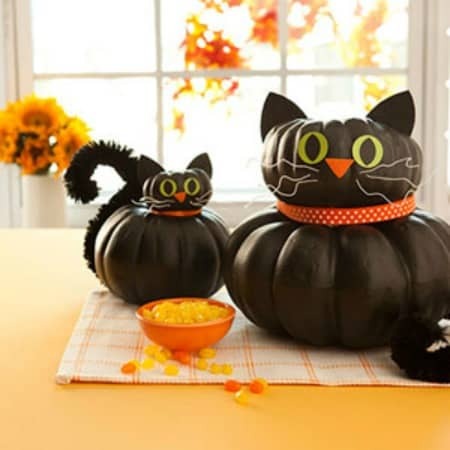 Thanks for showing so many cute ways to use pumpkins and Halloween decor. This is timely as my daughter and I plan to make jack-o-lanterns this weekend. I love the caterpillar so I might do that instead! 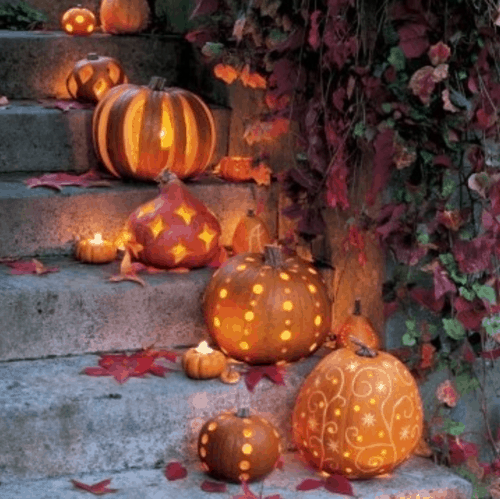 Those pumpkins are gorgeous. Thank you for sharing these great ideas. WOW! What a great variety of pumpkins. They are so pretty, I can not choose a favorite. I like the candy corn pumpkins. We carved traditional jack o lanterns here. 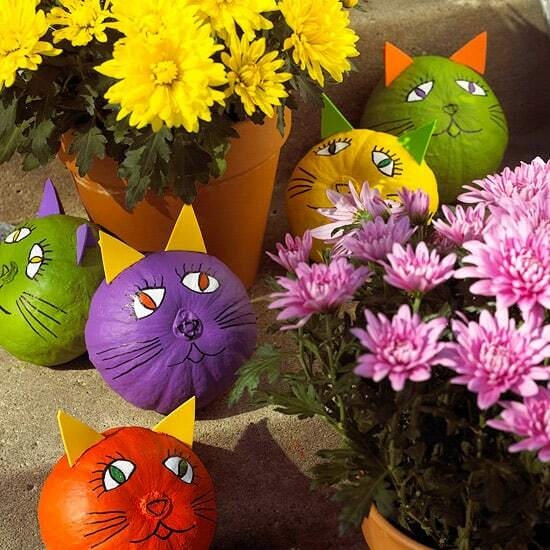 I am in love with those kitty cat pumpkins!! They are beyond adorable! After looking through your posts and commenting on several of them I am going to subscribe to your blog. You have me hooked!